Tuesday, Apr 30, 2019, 5 – 6 p.m.
Ready to launch your big idea? 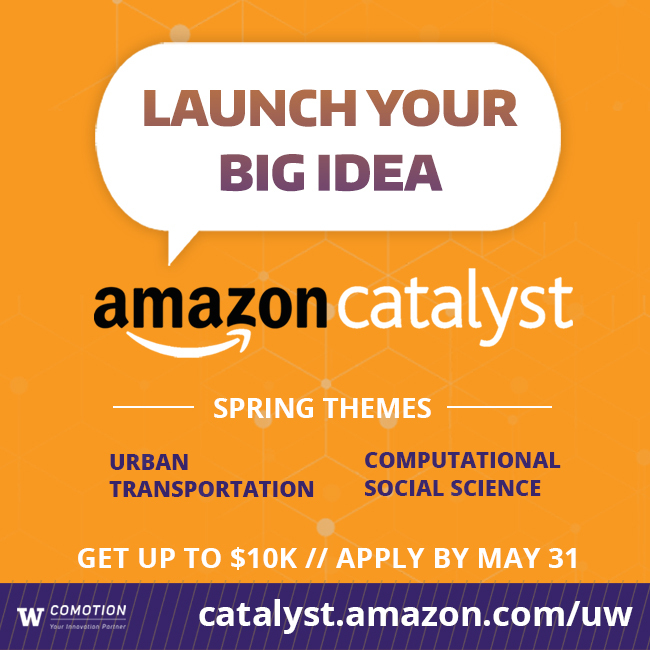 Come learn about Amazon Catalyst, a grant program at the UW for big ideas that aim to solve real-world problems at large scale and make a positive social impact. Spring themes: Urban Transportation & Computational Social Sciences. For UW faculty, students, and staff. Get up to $10K. Apply by May 31. Food included! Register to attend.